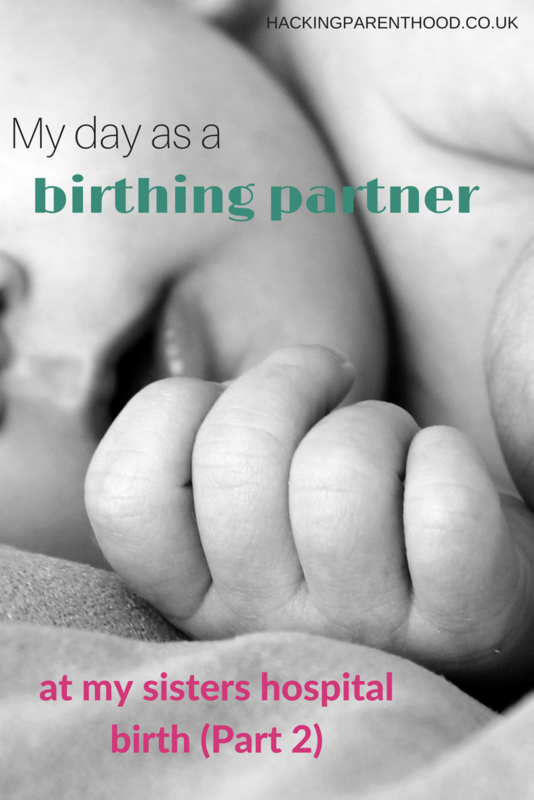 My day as a birthing partner at my sister’s hospital birth (Part 2), if you haven’t read (part 1), see it here. We did a few more walks inside the ward. They were still coming and getting stronger and longer. It was bath time, one thing I learnt from my own birth, is to never actually listen to a labouring mum when you know something would be helpful. I knew she wanted to be in the bath, but she was worried about Gas and air, as it doesn’t stretch that far. The gas and air was attached to the wall. I went to ask for a portable one, which they brought. Started running a bath, but there was no plug, they said there is one somewhere, they just had to find it. Eventually, the plug was found and my sister was in the bath. The relief was so visible, things should start moving now. Her partner arrived back, refreshed and ready to attempt another night of this. When he arrived and I was relieved, looking after a labouring mum is hard work, harder than looking after a 2 yr old. She got out of the bath with the help of her partner and got dressed. Contractions were getting stronger and things got hard for her to handle. 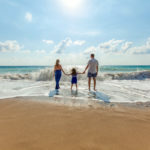 The anaesthetist was doing many tests to see whether or not she could have an epidural, after a while, it was confirmed that she could have it. It was also recommended as she would start receiving a hormone drip and that would make the contractions stronger than usual. It was time, who knew, having an epidural looked more painful than giving birth. It quite over whelming. There were many people in the room to make anyone feel over whelmed. It was showing in my sister, and not even the contractions were giving her a break. It took some time for her to have the epidural fitted. Half way through she passed out for a few seconds from the stress of it. Even having to keep very still through about 3 contractions. Once it was in, it took a while for it to start making a difference, and then she was a changed person. Baby’s heart rate dipped a bit, which concerned the midwives. It levelled out for a while and she managed to drift off to sleep for a bit. I left for a coffee, as it was extremely emotional seeing someone go through all this. I needed a moment to breathe and stopped myself from crying. On the way back I noticed that none of the midwives was at the desk, it felt like a very long walk to the room hoping that everything was ok. They were all in my sister’s room. I asked her partner what happen and he mumbled something about the same again. Babies low heart rate. You can just imagine the distress all of us were feeling. 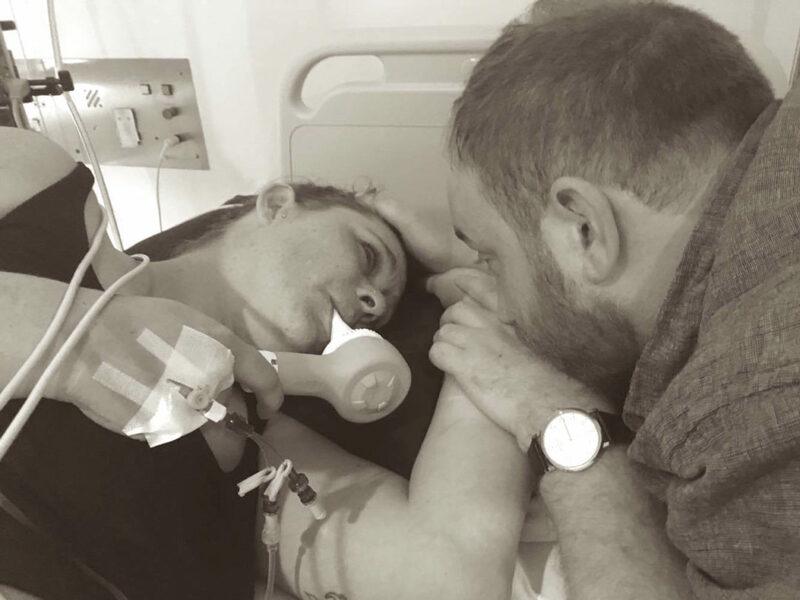 The doctors and midwives made the decision to move her into the theatre as they would need to get the baby out sooner if things weren’t getting any better. After a while, the midwife came back and informed us that they were going to put her back on the hormone drip to see what happens and if things still aren’t right, they will prepare for surgery. After a while, the midwife came to get my sister’s partner as they were doing an emergency C-section. He got some scrubs on, and I was left all alone waiting for news. During this time she had to have an Epidural top up which didn’t work and then a spinal tap. But I was not there for that. It was getting close to my last train time, would I be here for the birth or would I have to leave before my niece was born. I had the option of a 19:20 pm train or 20:10 pm train. It was 6:45 and they didn’t begin the c-section till 19:10. That means I would miss my last train if I stayed. I figured I should just go now as I was tired and didn’t really want to catch the last train for no reason. I was just in time for the 19:20 train. 19:26 my niece was born into the world. What an emotional day, ended with a happy and healthy baby and mum. See my story of my home birth.